The late Roy Baker, holster maker was known as “Roy Baker the Pancake Maker” after he designed and patented the original Pancake holster. His patent was for multiple belt slots in the leading edge of the holster, which allowed it to work equally well when worn on the strong side hip or as a crossdraw. The Pancake moniker came from its oval shape, which resembled a pancake. The original Baker Pancake design, with its wide spread belt slots in the leading and trailing edges of the oval shaped holster, provided superior user comfort as it spread the handgun’s weight over a larger area than the traditional narrow tunnel belt-loop. The belt slots also placed the handgun high on the hip and pulled it snugly against one’s body for superior concealment. El Paso Saddlery calls their pancake style holster the Crosshair. 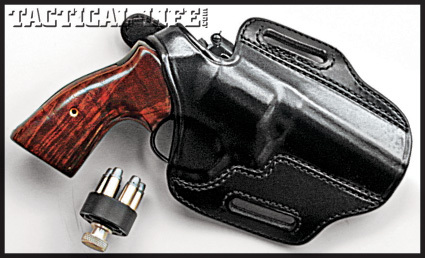 It is of an improved “flat-back” style, where they face of the holster is detail wet molded while the backside is flat. This provides superior user comfort. The leading and trailing edge belt slots are sized for a 1½-inch wide belt. 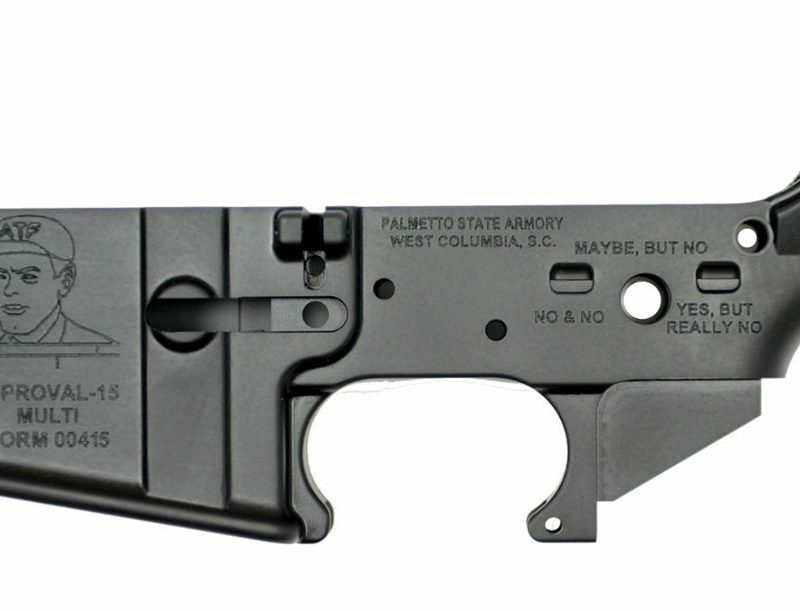 The wet molding includes a sight channel for use with sharp edged high visibility front sights. The pouch fully encloses the pistol’s triggerguard to prevent premature access to the trigger when drawing a cocked and locked 1911-style auto pistol. 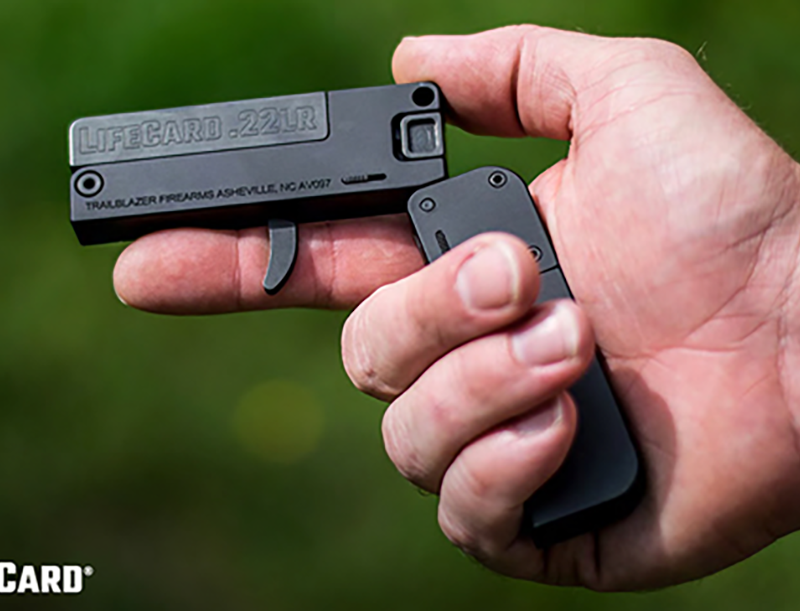 Additional security with the open top pouch is provided by an adjustable tension device located at the base of the pistol’s triggerguard. The belt slots are positioned to place the pistol at an FBI rake on the strong-side hip. My Crosshair is beautifully finished in a golden brown and has an attractive “fish-scale” stamping. El Paso Saddlery’s long experience in producing top quality cowhide holsters is evident in their Crosshair. As U.S. begins Afghan surge, Canada plans 2800 soldier exit.